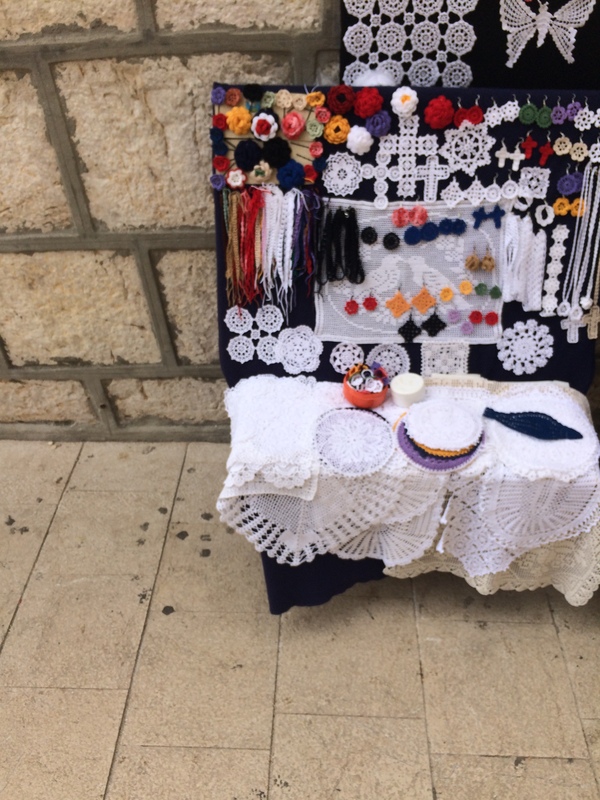 In my second installment of blog series Discover Croatia I’m taking you to Pag town on Pag island. I haven’t been to Pag island until this summer. Strange, I know. I’ve been 11 times to London but I still haven’t visited all the islands in Croatia. 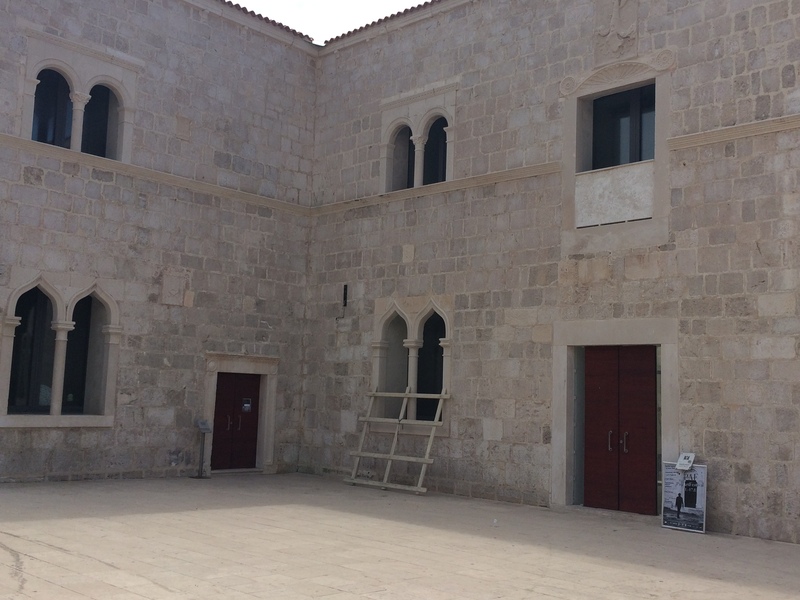 Pag island is actually quite known to young party-animals because of Zrče beach (Novalja) and its clubs and music festivals such as Hideout festival. 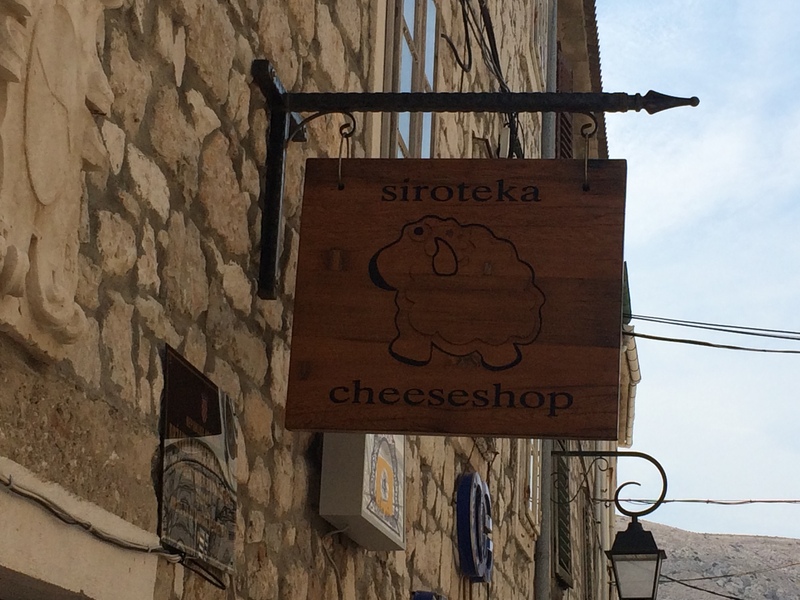 But I don’t think that many of those who party hard at Zrče have actually seen much of Pag island. 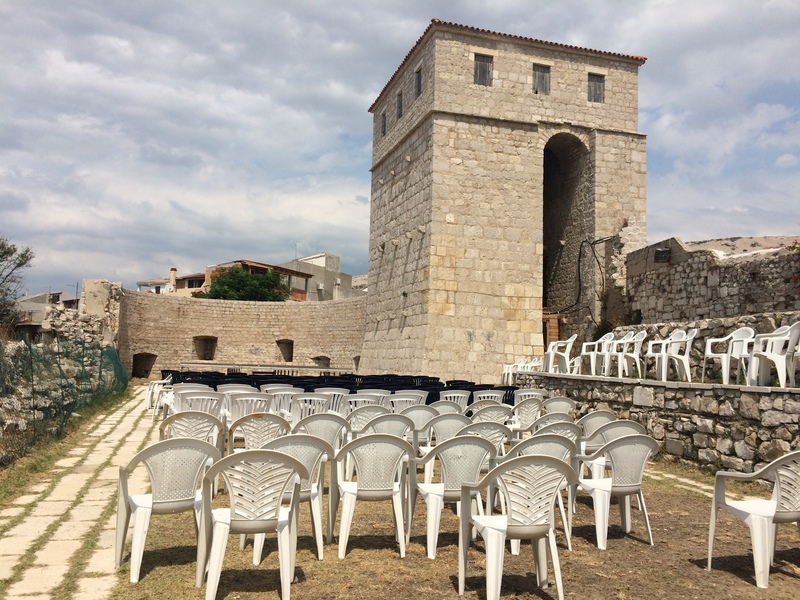 If you’re not into that kind of entertainment anymore, let me tell you more about a small but beautiful Pag town on Pag island. 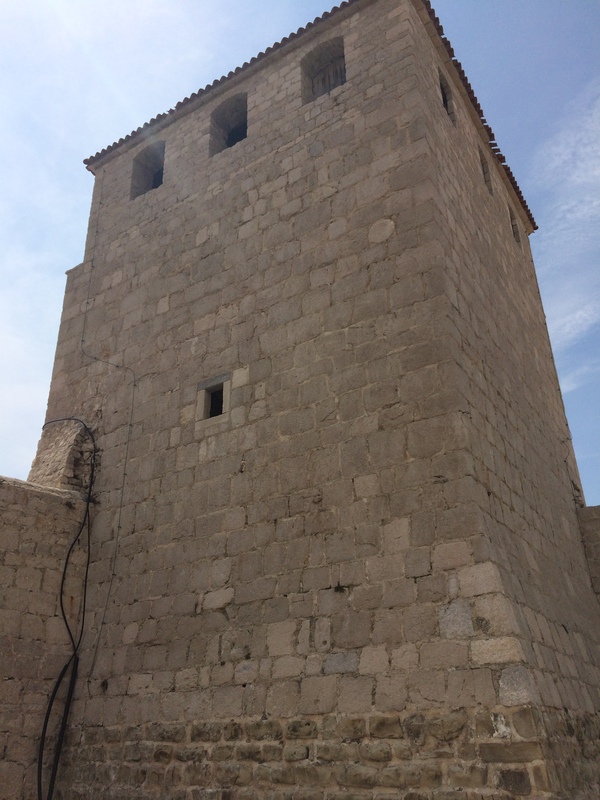 I holidayed for a couple of days with my husband in a small Dalmatian village this summer like we usually do. 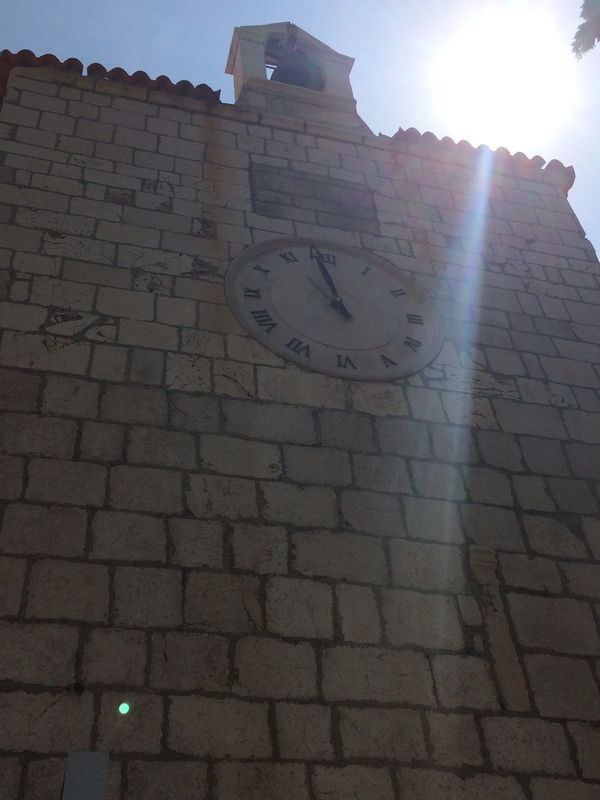 But I finally managed to convince him to go to Pag island which is less than an hour away from our accommodation. 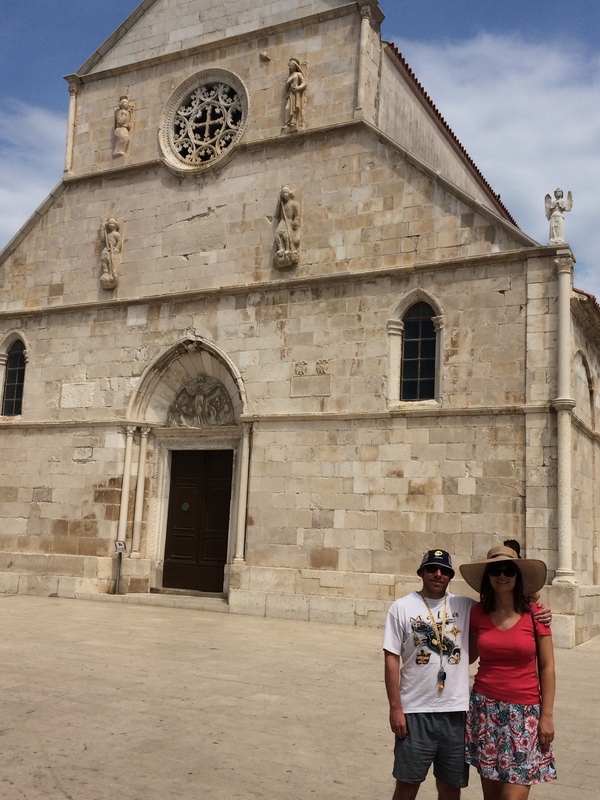 Our friends joined us for a day trip of exploring Pag town. 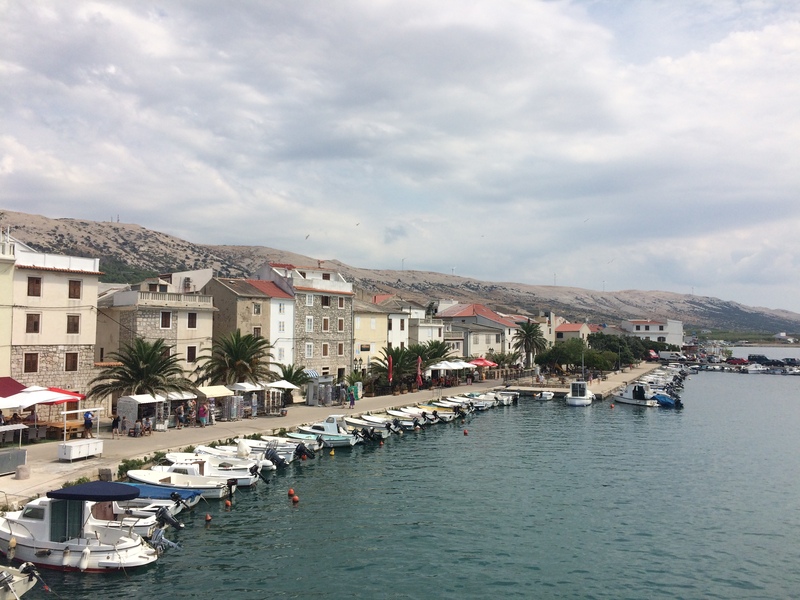 We walked around Pag town, had excellent lunch and spent some time at the nearby beach before the storm came. 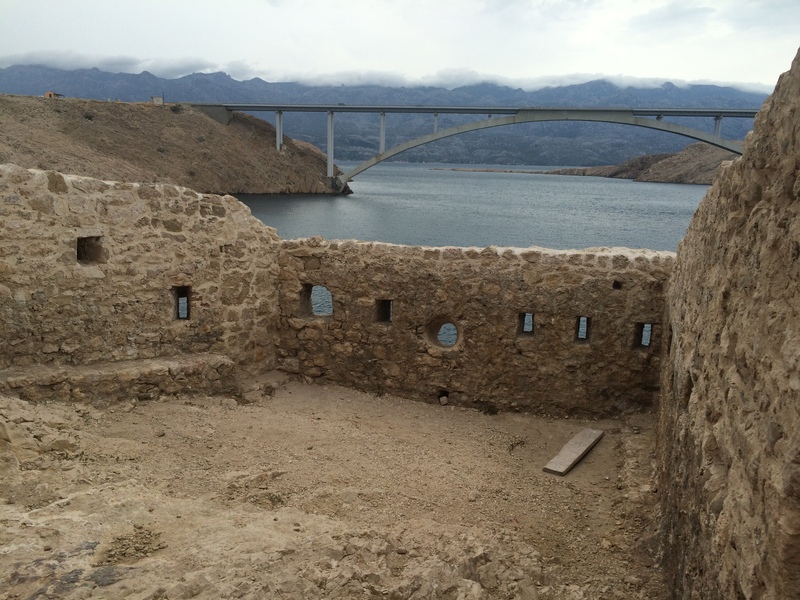 When we drove back we stopped again just before the bridge and visited the ruinous fortress. 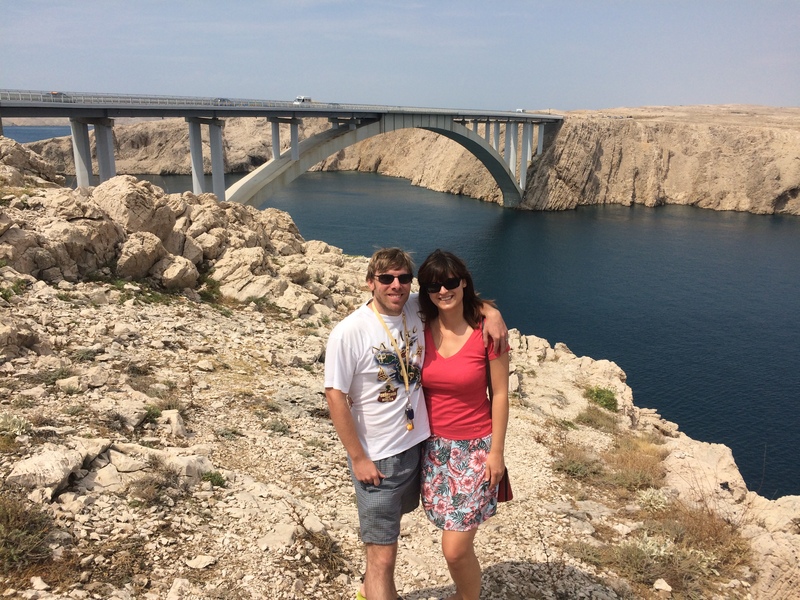 First photo opportunity arose just before we crossed the Pag bridge (it’s free). We stopped and took some photos like the other tourists. The view of the mainland across the sea and the view of barren Pag island is very special. In my opinion Pag has a very Moon-like landscape and it could be a perfect location for some SF movie. Actually Pag has a nickname Lunar Island. 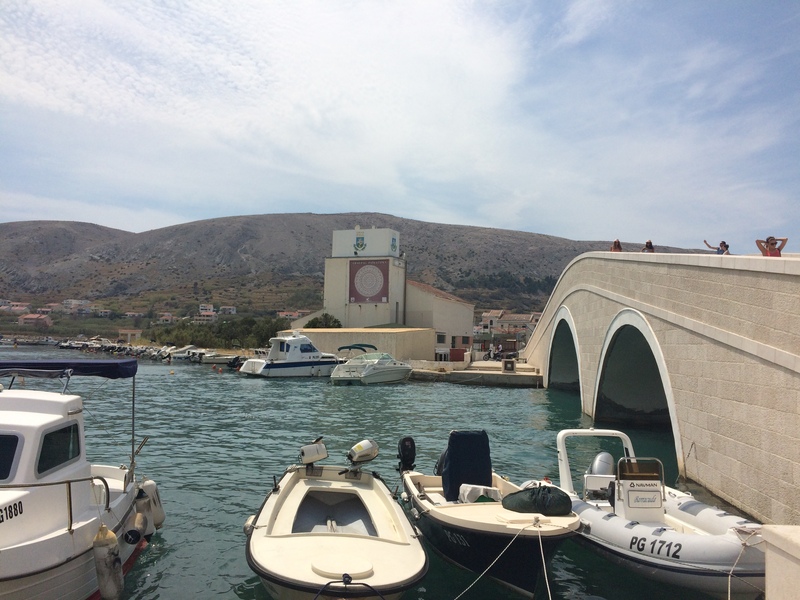 Pag is the fifth largest Croatian island but it’s the only one which belongs administratively to two counties. 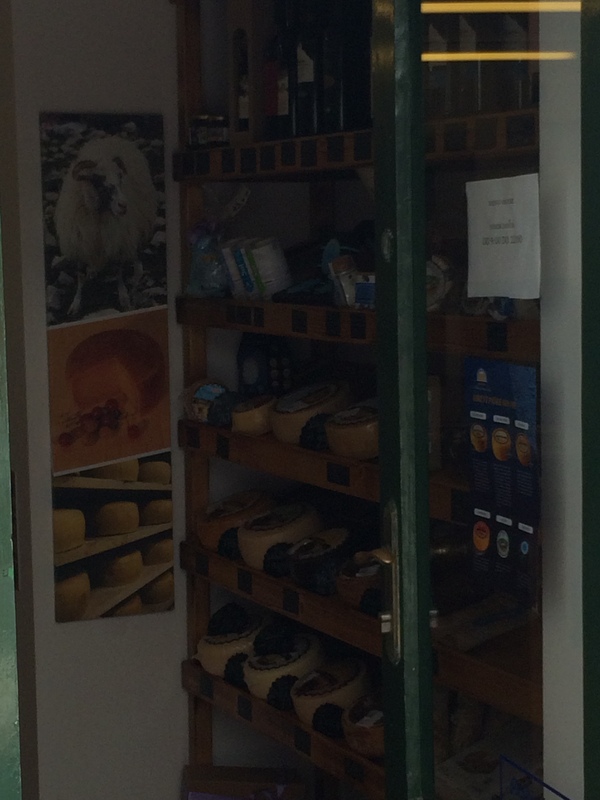 Pag island is famous for its delicious Pag cheese, exquisite lacework and the salt extraction since the ancient times. 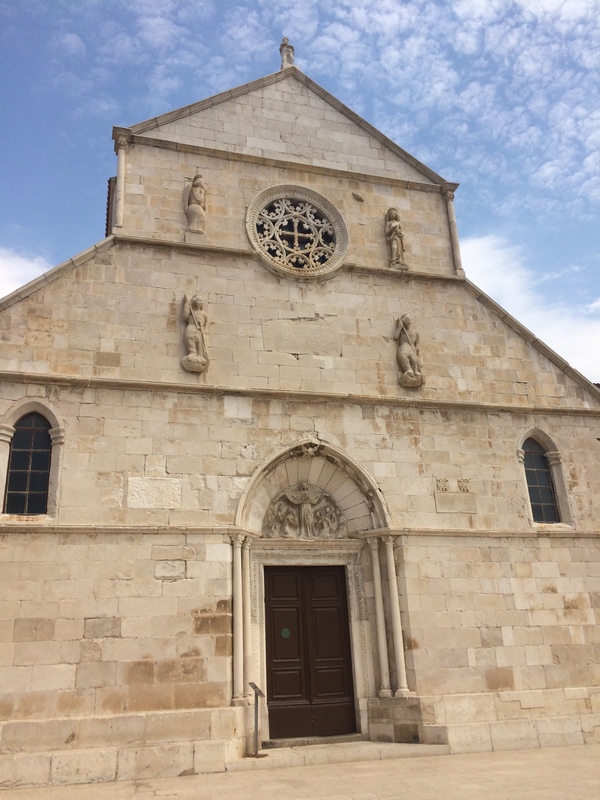 Pag is a small historical town where you can explore its narrow streets with stone houses and admire the beauty of its churches. The name Pag is first recorded in 10th century. 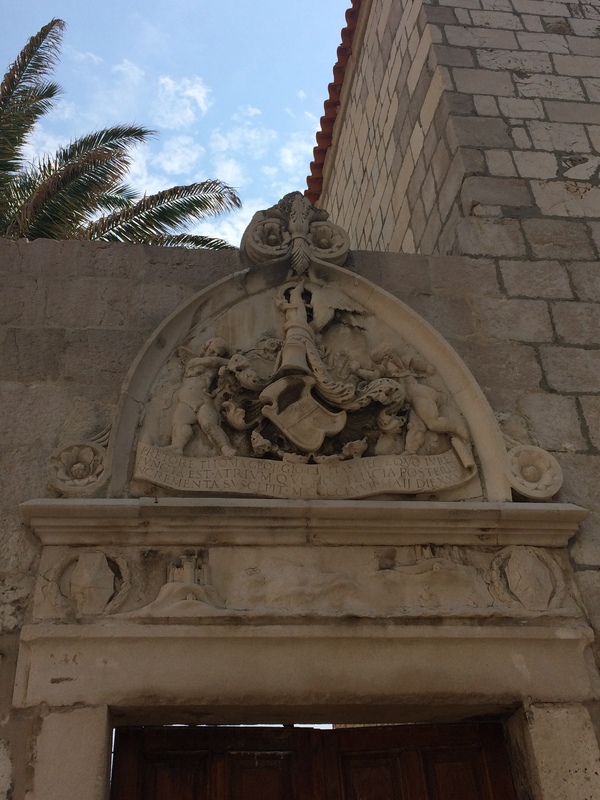 Much like the rest of the Dalmatian coast Pag was a part of the Venice Republic for a couple of centuries. The town Pag has actually changed its location during the history. 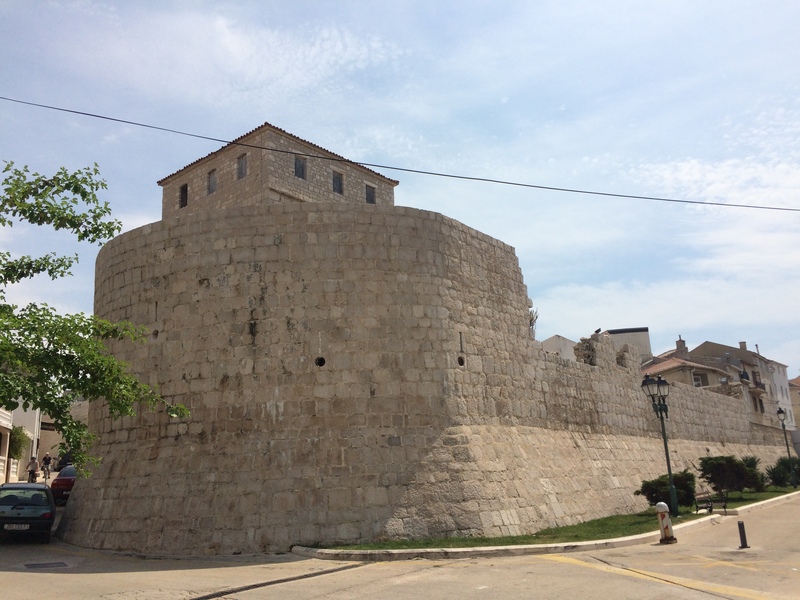 The people moved to today’s Pag in late 15th century and they built city walls and towers to protect themselves from the possible enemies. 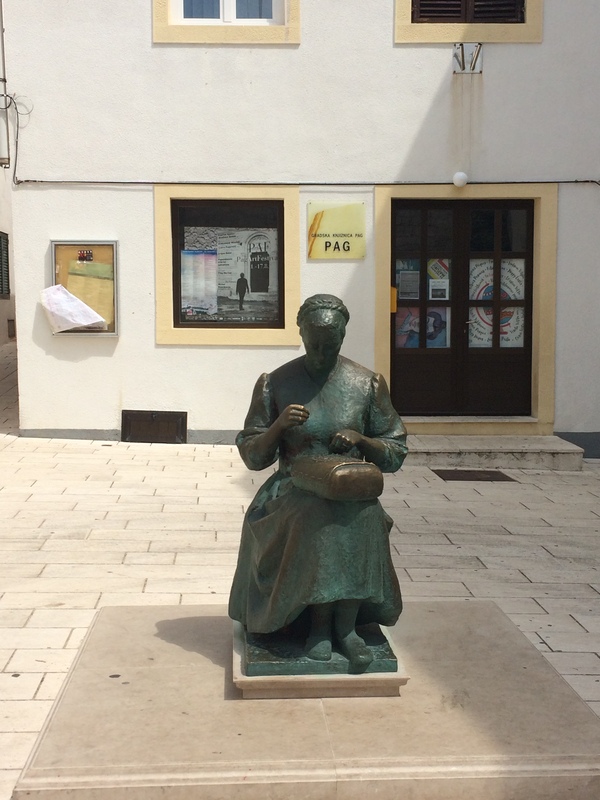 In the twentieth century Pag shared the destiny of many other Croatian islands and suffered a great loss of population because people left their homes in search of a better life across the Atlantic. 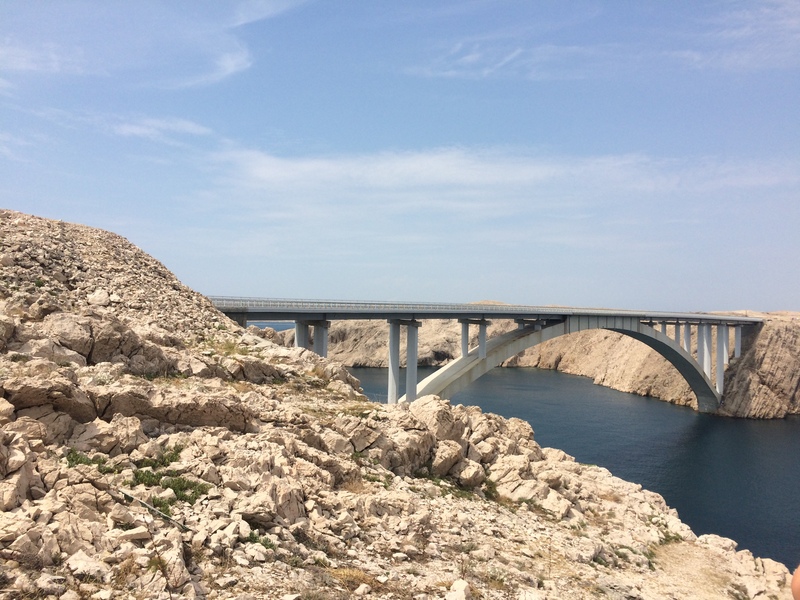 Today around 4, 000 people live in Pag and mostly work in tourism industry. Just across the old town is the Pag bay lined with 20km of pebble and sand beaches including three city beaches too. Leaving Pag we stopped again just before the bridge and visited the abandoned fortress which is actually being renovated. 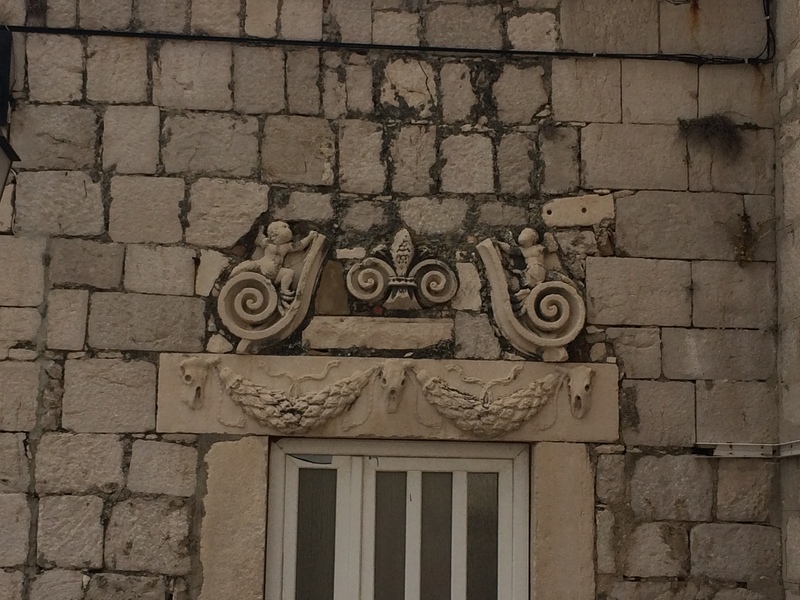 The nearest airport is Zadar airport (about 70km away). 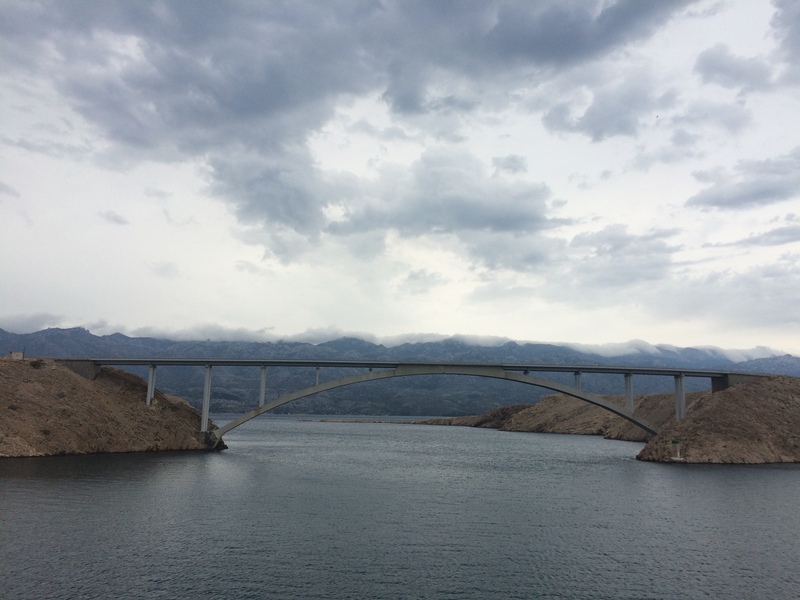 Then you take a bus or hire a car and cross the Pag bridge. 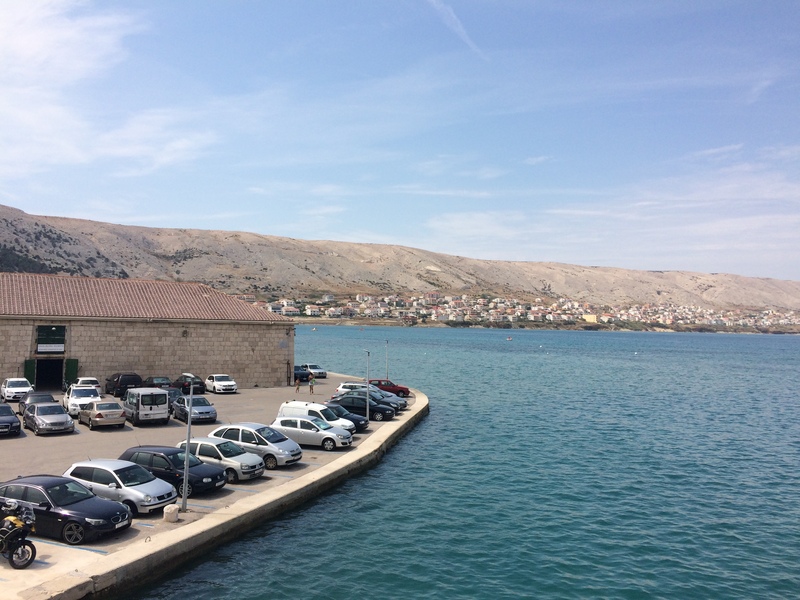 If you’re arriving by car from the north (e.g.Zagreb or Rijeka) then you can take the ferry to the northern part of Pag island from Prizna ferry port or take a ferry Rijeka-island Rab-island Pag. 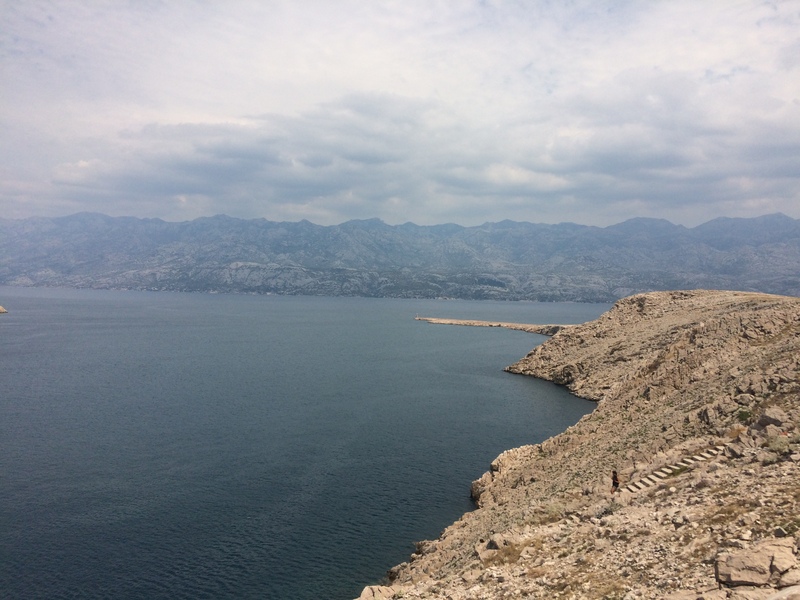 Have you been to Pag island? Your photos are absolutely gorgeous. Thanks for sharing! Thanks for the tour around the beautiful island. 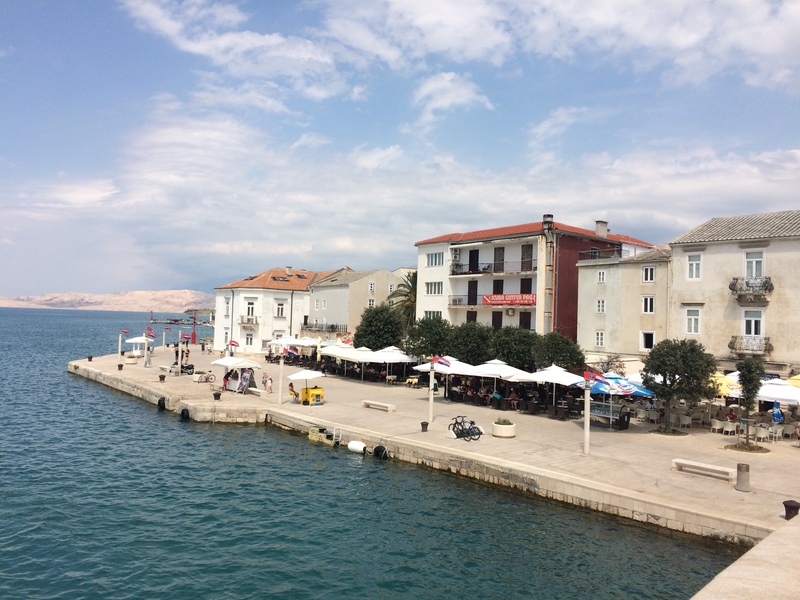 Pag is an very interesting place to visit. Enjoying your Croatia series. 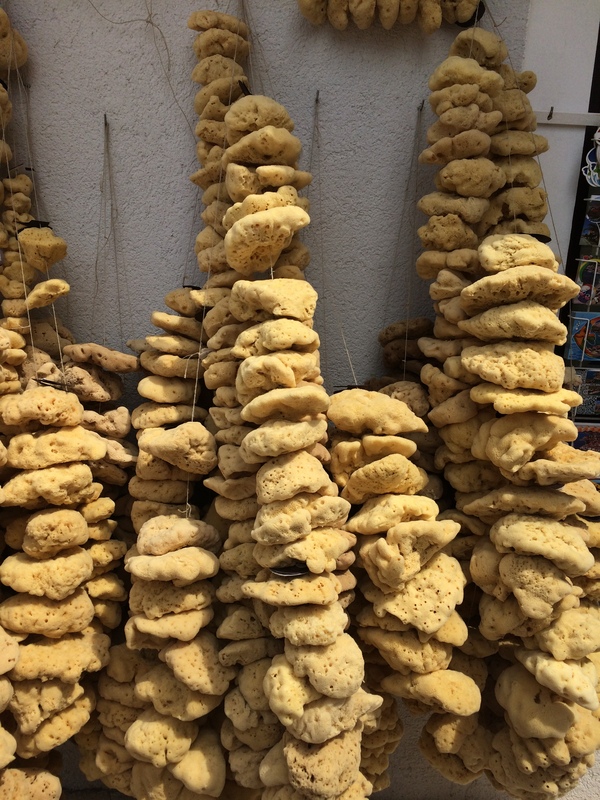 The views in Pag looks lovely and I find the natural sponge very interesting. The church looks massive. Did you go inside? 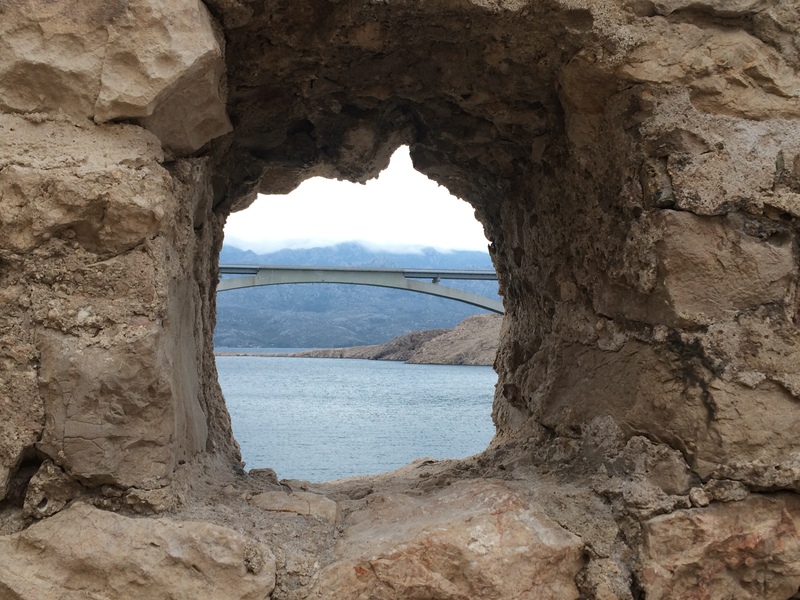 thanks:) It’s great that you started a new travel linkup! 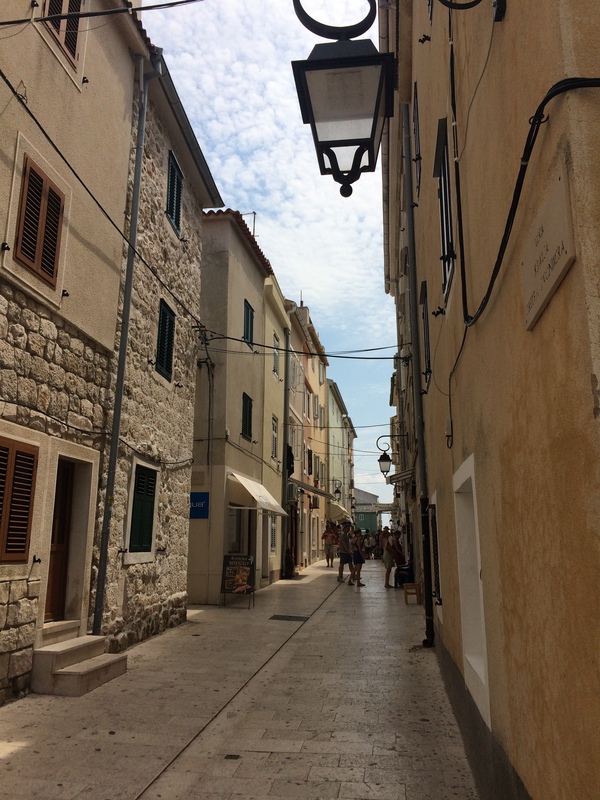 I have serious wanderlust for Croatia the more and more I see pics. Thanks for sharing this city Pag! Love your photos! Seems like a really cute little island! And I love alleyways like this! Love these photos! This is exactly the kind of place that we search for when planning our travels. Very interesting! Didn’t know the island is kind of arid. Some of your photos look like the deserts here in California. 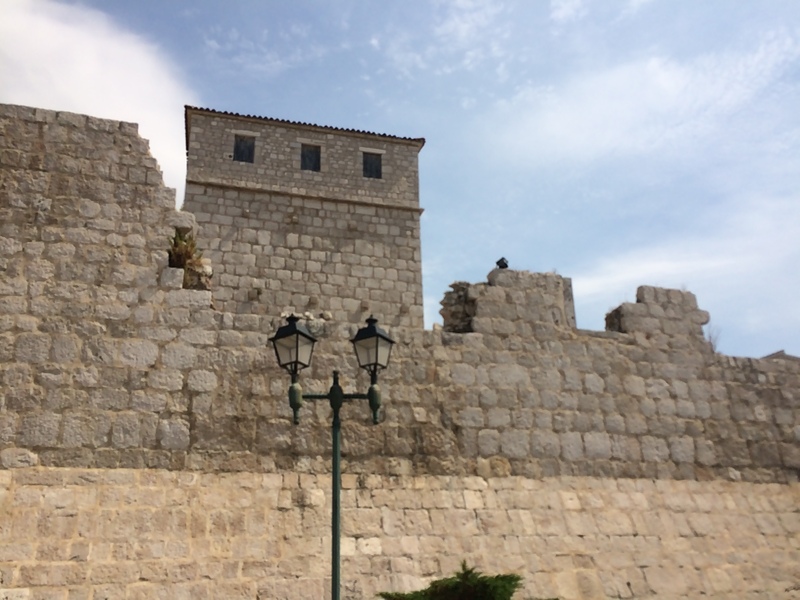 I am enjoying your posts on Croatia since it is an area of the world I know little about. It is beautiful. I think I need to add it to my list of places to visit some day. I love the photos with the bridge.